As it turns out, writing the book was the easy part. After we both gave birth to our little ones - Catherine's son, Jennings, came just a few months before Traci's son, Charlie - we'd compare notes on everything from jogging strollers to diapers. But, as two UVA alums (Col '99), we quickly discovered a lack of children's books about our alma mater. After some thought, we decided to write our own. And within a matter of hours, we had our first draft. Not long afterwards, we were ready to try getting our manuscript published. We spent the next several months poring over information on everything from the state of the children's publishing industry to the tax implications of creating a partnership. Ultimately, we determined that self-publishing would be our best option both financially and creatively. We also learned we needed licensing rights from the University to feature specific images in our book. 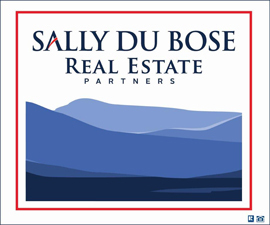 Although we could have obtained a license on our own, we decided to work through a publishing company that already held a UVA license. After lengthy contract and pricing negotiations, the book was ready to be produced. The publishing company offered to provide illustrators for our project, but many of those illustrators were based overseas and produced generic digital illustrations based on photographs. We wanted traditional artwork that did justice to places like the Rotunda. We also preferred to work with someone local. Our search began by contacting the university's art department as well as advertising through craigslist.org. After receiving a pile of impressive resumes, we thought ourselves fortunate to find a talented illustrator who lived in the region. After more contract negotiations, we were ready for him to start work. But our free-spirited artist missed deadline after deadline, causing months of delays. After several extensions and "the-dog-ate-my-homework" excuses, we cut our losses and started over. 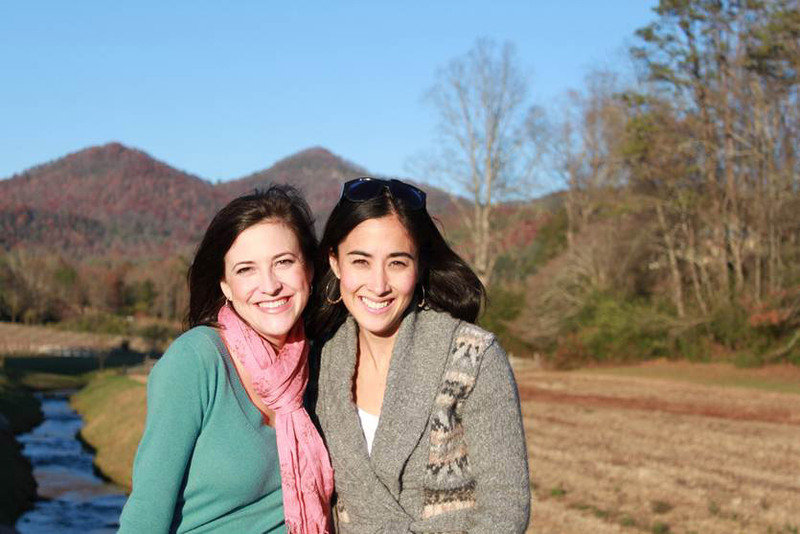 Fortunately, we connected with another illustrator who grew up in Charlottesville and appreciated the beauty of the school and surrounding region. Madeline Mae Bowden's talents resulted in the beautiful book it became. But we hadn't crossed the final hurdle. 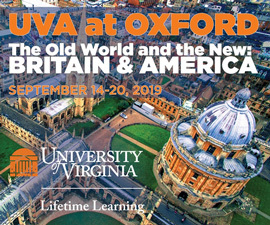 There was a final frenzy of negotiations about the manuscript and layout as we neared production day - including dozens of emails over the right shade of "UVA" orange. Fortunately, not all of the process was arduous. Our book was quickly approved by UVA's licensing office and we received generous encouragement and support from a number of local businesses and landmarks as we sought their permission to be featured in the book. While we were often reminded of Mr. Jefferson's advice, "Delay is preferable to error," throughout this endeavor, it seemed at times that our dream might never come to fruition. But as we now watch Jennings and Charlie's excited little fingers flip through the pages of our newly published book, we can take comfort in knowing those delays were not in vain. 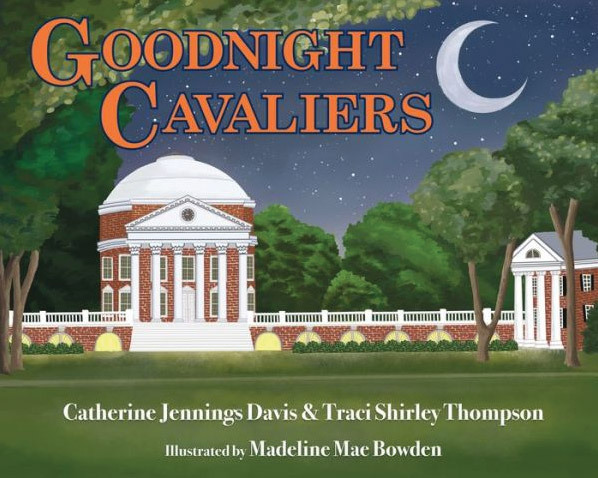 Catherine Jennings Davis' and Traci Shirley Thompson's picture book, Goodnight Cavaliers, is now available for purchase at the U.Va. bookstore and other book retailers. A portion of the book's profits will be donated to the University. More information can be found at goodnightcavaliers.com.